There's no doubt that I'm a dog person. However, when I say dog I usually mean tiny balls of fur that I can dress in funny sweaters and carry around using one arm, like Indie. 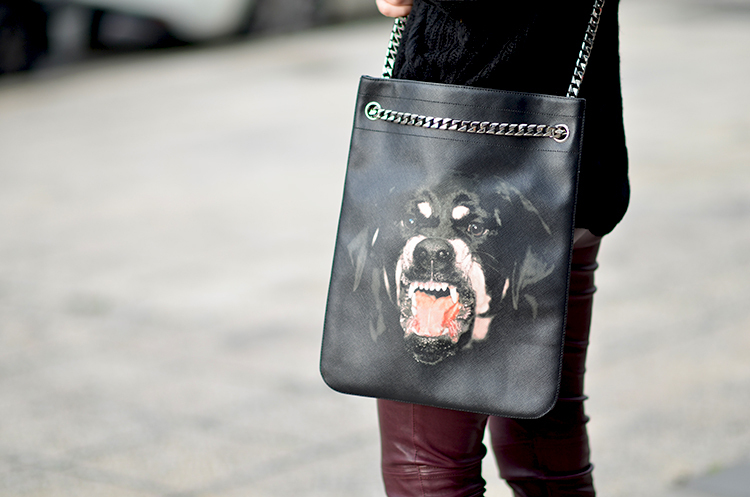 Givenchy recently had a whole different take on the word in what I presume was a scary-teeth related series of designs starring sharks and rottweilers. Nonetheless, I found the rationale refreshing and eccentric enough to consider giving this tote a place among my favourite bags and even though it saw the inside of my wardrobe for quite some time here you finally see me sporting it for a walk about town. On the plus side, there's a chance it scares the thieves off! Τέλειο το παντελόνι και πραγματικά αγαπώ το συνδυασμό black - burgundy!!! Πολύ όμορφο Outfit. euxaristw poly irini, einai k mena apo tous agapimenous mou syndiasmous! I prefer the tee... but I must say that together with the clothes you've chosen, it looks great! i just loved you leather leggings and your bag! it is! they've got more colours too! That sweater is Minusey??! I have to get it!! yes they have some super cute stuff lately! Haha when I think of dogs I think of the cute little furry balls too. Though I have to admit, this trend is pretty interesting. It definitely adds an extra element to the look, and I think you pull it off perfectly! 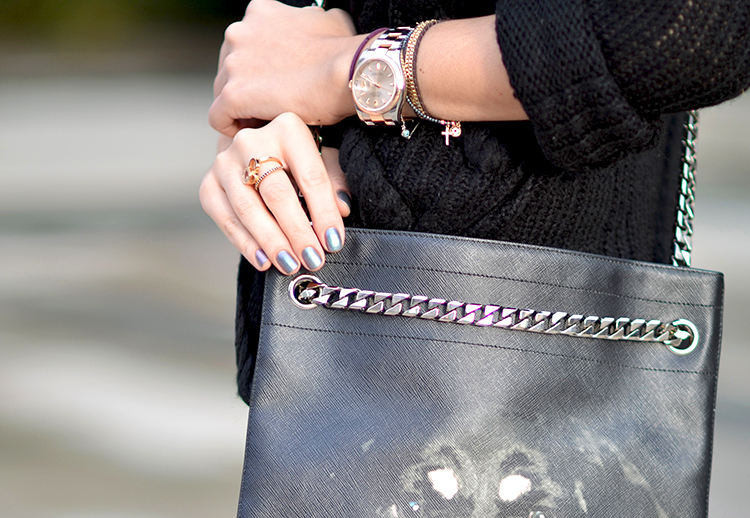 Edgy and chic, head to toe!